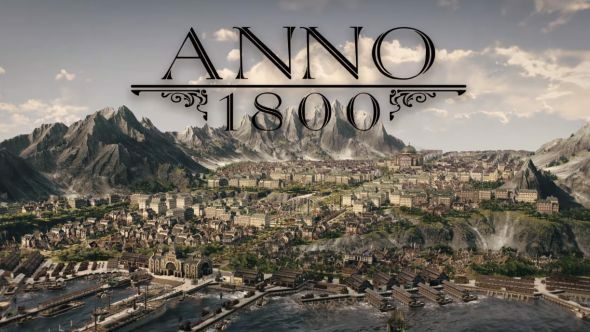 Publisher Ubisoft and developer Blue Byte worked together on yet another Anno game and with the new Anno 1800 they combined the beloved features from 20 years of Anno history. The game provides you with three different modes which you can explore and enjoy in this city-building strategy game. With its beautiful artwork and lots of content, there will be hours upon hours of playtime for the city building fanatics out there. Dive into the dawn of the industrial age and create your own opportunities as the ruler of a, yet to be, major company. You are living the dream with your best friend Aarhant in a small village you call Paradise in the tropics. Over the years you received hundreds of letters from your father, but you never even bothered to open them. But recently you received a tear-stained letter from your sister Hannah explaining that your father is arrested on suspicion of treason and is currently awaiting trial. She desperately needs your help so you catch the next boat ‘home’. When you return at the Old World you find your father hung himself in his cell. Of course, the people all make up their own truth and some even say that he couldn’t bear the guilt. 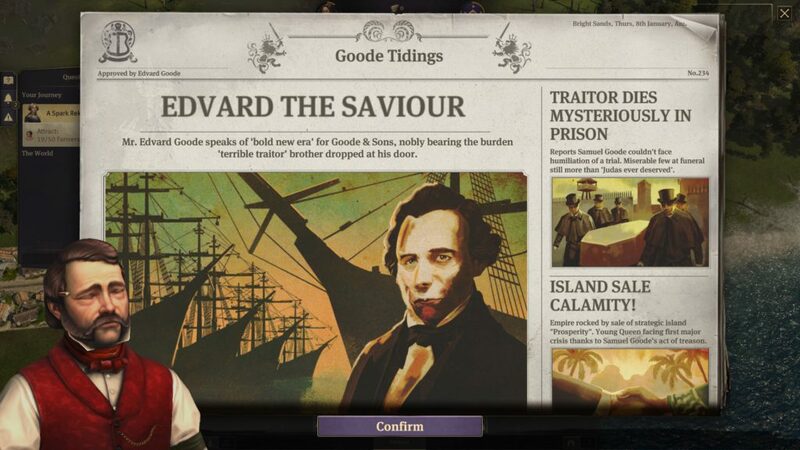 Your despicable uncle who is called Edward was all to keen on taking over your fathers’ company ‘Goode & Sons’ and is pretty annoyed by the fact that you and your sister are busy setting up a rival company on the Island of Ditchwater. He will go to great lengths to make your little company fail and gain the upper hand. But despite all that, you will receive your shipping license and only make the political war between you and your uncle grow stronger. The graphics of the game are gorgeous. You need to keep in mind this is a strategy game and the graphics of those are mainly horrible if you look at most of them, often due to the large maps you’re working on. 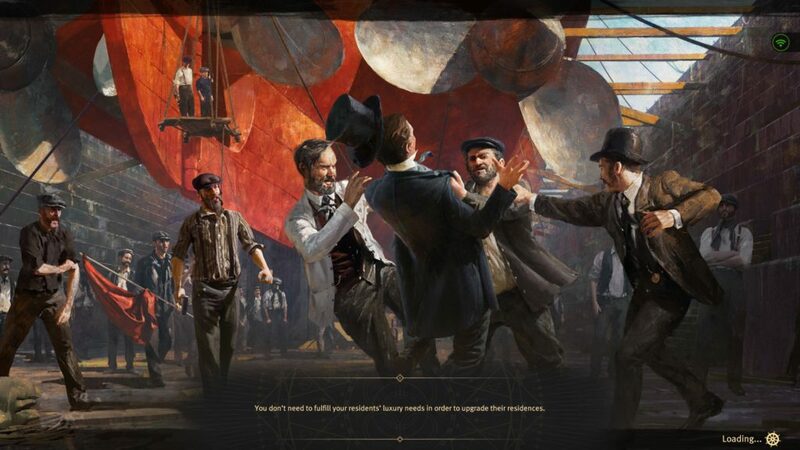 Anno 1800 managed to put beautifully painted images on the background of the menu and even on the loading screens. Also, the little cutscenes are a sight to behold. Naturally, when you are in game the graphics are less spectacular but nevertheless if you zoom in they managed to get so much detail in every building you ‘create’, that it blows you away. Damn, there is not a lot to tell you about the sounds of this game besides that they are great. Everything is voice acted which is totally amazing and the background music is so relaxing and fitting it just blends in with the game perfectly. Not only is there some well-fitted background music, each building has its own arsenal of sounds, those are repetitive but stray not far from what it would sound like in real life. 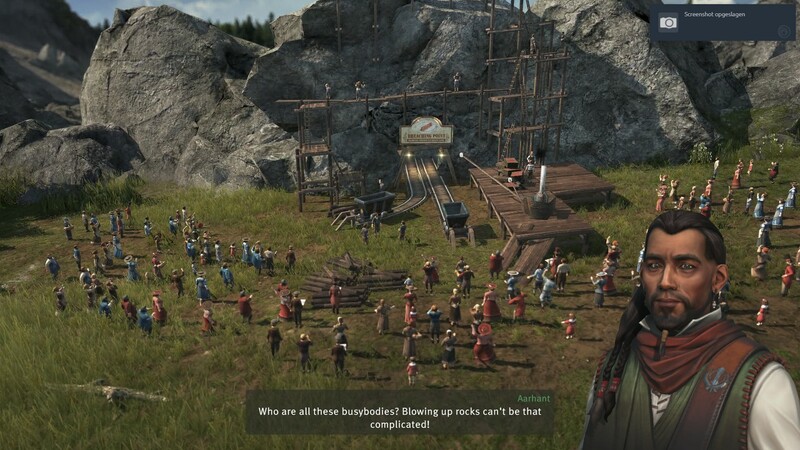 Anno 1800 is a city building real-time strategy game which takes you to the dawn of the industrial age in the 19th century. Your goal in the storyline is to beat your uncle who didn’t hesitate to ‘take over’ the company of your father. He will do everything in his power to take you and your sister down. So you will be provided with a few choices in this game. Will you be an innovator or an exploiter, a conqueror or a liberator? The path you take in this game is completely up to you. There are a couple of modes you can consider taking. If it is your first time playing an Anno game they advice you to play the campaign or story mode. Here you have the possibility to activate the tutorial which takes you step by step throughout your journey. In the story mode, the goal is to get a better company than the one your uncle ‘stole’ from your dad. You have a few chapters you need to complete before you can unlock the full potential of the game and hereby all the types of workers and buildings that come along with that. At the start of your game, you can choose how difficult you want to make it for yourself by choosing some sort of difficulty. Next, you have the Sandbox mode. This mode will be the one where Anno players spend the most time in. The developers created this mode to its full potential. You are able to choose a lot of settings at the beginning, like the size of the islands, how much city incidents there occur and much more. Lastly, you can play in the multiplayer mode. This mode consists of a total of four players which can differ from human to AI players. Also, there are a lot of features present that you can also find in the Sandbox mode. You can also join queues to find matches against other players, those can differ from each other so players can find the right game experience for them, including game length and much more. 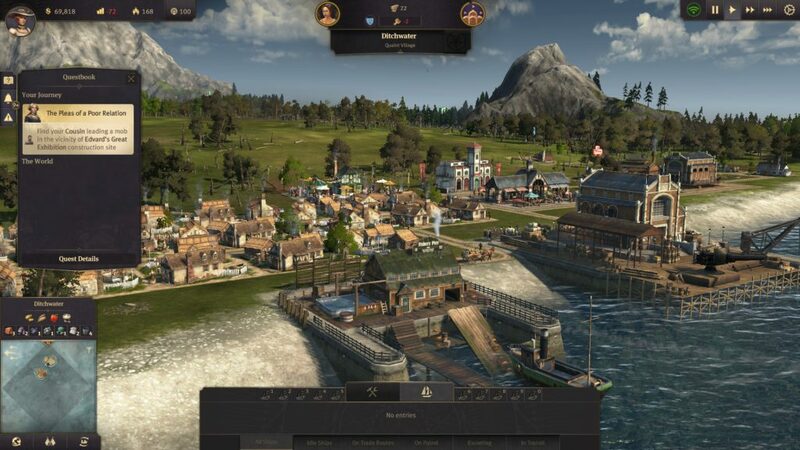 The world of Anno 1800 is extremely big an has a lot of features to offer. Here you need to take into account that there are certain things you need to consider looking into before you start out. For example, you need to provide your city with enough warehouses to stock up your goods, you need to make sure you have enough workers to operate your buildings or even which islands are fertile for certain crops. Also if you want to upgrade, you need to make sure your workers have what they need and supply certain goods or activities in order to make them happy. Anno 1800 is a masterpiece in the city building strategy genre. It provides you with a lot of content and challenges to push yourself to the limit of your capabilities. Lovers of this genre will have a blast playing this game but it doesn’t bring that much news to the genre, which means that those looking for something new will be left wanting more. But that won’t take away that this game is stunning in every aspect; fully voice acted and beautifully finished with concept art. For new Anno players, don’t let this game overwhelm you, it can be a bit much sometimes but it is certainly worth the effort to try and conquer its difficulties.